A solemn parade marks the beginning of the holiday in Kiribati. The parade is followed by numerous sports competitions between youth clubs and Christian youth organizations. Here youth may compete in soccer, volleyball, boxing, tennis, basketball and traditional kinds of sports. All those people, who are not willing to participate in sports competitions, may take part in other activities, for instance, in dancing and song contests. 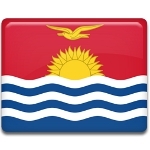 Young people from different regions and islands of Kiribati (the Republic consists of 33 islands in the central Pacific Ocean) come to compete. After the end of sports competitions another event, a youth beauty pageant, takes place, that is much adored by everyone. Youth Day is a very popular holiday among the citizens. It features unusual and spectacular traditions, that can be seen only in Kiribati.